The Ultimate Gutter Guard is a gutter system that is maintenance-free and guaranteed to stay debris-free for life. The Ultimate Gutter Guard is proud to offer a wide selection of windows for all of Huntsville and the surrounding areas. Our siding is maintenance-free and built to last. It will add beauty and protection to your home for years to come. Ultimate Gutter Guard of Huntsville has many accessories like trim, soffits, fascia and more to make your siding job stand out from the rest. If you are looking for a solution to lowering energy bills, you need to take a look at our attic insulation, vinyl siding and replacement windows. These products are designed to help reduce drafts and energy loss in your home and can also help you spend less money on your utility bills. You can also check out The Ultimate Gutter Guard of Huntsville’s top quality gutter system. These innovative gutters stay clog-free, so you can make cleaning your gutters a thing of the past. We also have bath systems and shower systems that can help increase the appearance of your home by giving your bathroom a fresh, updated look. No matter your home improvement need, Ultimate Gutter Guard of Huntsville has the products and services to help homeowners in Huntsville, Decatur, Madison and Athens. Just pick up the phone and give us a call. Or contact us here. We look forward to hearing from you. With the Ultimate Gutter Guard, you never have to bother with clogged gutters again. We’re proud to say that this unique gutter protection system is the only leaf free gutter system that has a rear drainage channel on the market. Our gutters look perfect on any home and come in a wide selection of colors. View our gallery to see how our gutters look on homes in the Huntsville area. Read What Gutter Guard Customers Are Saying! Here at Ultimate Gutter Guard of Huntsville, we take pride in our customer satisfaction. 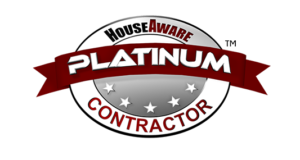 See what our clients are saying about us and why so many homeowner are now enjoying a clog-free gutter system. "They did a good job. The salesman did a very good job of explaining the product, and the crew did a good installation job. They are very professional. I really enjoy no longer having to get on the ladder and clean my gutters. Great product and installation!" - Sophie & Kevin D.
"From the presentation to the follow-up phone call after the work was done, Gutter Guard was very professional and down home at the same time. I think that anyone who is planning any type of gutter repair or replacement, should contact Gutter Guard FIRST!" "They came out to our home and we went out and showed their man our problems as well as we found new ones. We really learned a lot from him and are so glad we made the decision to get new gutters. I am relieved that my husband won’t get that heavy ladder out and get up there to clean gutters ever again. We cannot afford to have him get hurt. I am a Mom at home and he is only one working. THANK YOU GUTTER GUARD.